Explicit TPB BIC - AUTOBOTLY AUGUST 2017 - Transformers Sins of the Wreckers! 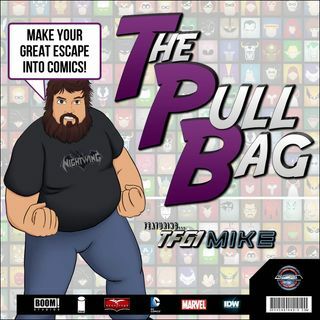 TPB Back Issue Classics Episode 93 is here! Cue Stan Bush because we have THE TOUCH!!! Mike, Aimee, and Ryan are all sinful Transformers fans!!! Join us as we talk about Nick Roche’s Transformers Sins of the Wreckers! You'll only find it here inside The Pull Bag! TRANSFORM AND ROLL OUT!! As always Make Your Great Escape Into Comics!! !